Before we begin, we shall see what exactly is youtube-dl, for those who might have stumbled upon this page accidentally. 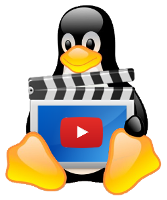 youtube-dl is a free command line utility that can be used to download videos from youtube (not just limited to youtube) in Windows and GNU/LINUX. Why should I set the default options ? The benefits are not limited to the ones stated above. Suppose that you have a limited bandwidth internet connection. You want to download some videos with youtube-dl , and only as moderate quality videos. Will you enter the options every time you paste a youtube link to download the video ? Sometimes you might forget to do so, and the youtube-dl might start downloading a HD quality video. Boom... Bandwidth loss for you. You may want to download the video/audio in a specific format/quality. But specifying them everytime will be a tiresome work. Open the file named youtube-dl.conf. If it does not exist, create one. Then enter the options that youtube-dl should take as default while downloading the videos. From the next time when you download the youtube videos using youtube-dl, the default options will take effect. Just as much you want to download using the default settings, you might also want to skip the default settings for some videos. For you to download the video in the way you like, just add --ignore-config flag to the youtube-dl. Lets say, you have set the default video format to 18 (mp4 - 640x360), but you want to download a video in 720p webm format , you can pass the flag -f 247 .